Give your body the minerals it needs to regain and maintain good nutrition. The body can manufacture a few vitamins, though it can not manufacture minerals or trace minerals. 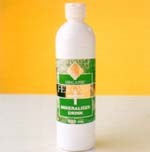 These trace minerals are important nutritional substances as they act as catalysts for many biological actions and reactions including muscle responses, nerve transmission and hormone production. Plant derived phytominerals are proving to be the most popular of all micro trace minerals as they provide a natural balance of these essential nutrients. Feroxin contains extracts of Alpine Moor Biomass which provides a simple, refreshing way to include these plant derived phytonutrients in our diet. The noni plant (Morinda citrifolia) is a beautiful shrub, hailing from the Polynesian tropics, the fruit of the noni plant has long been a favourite among the islanders. For thousands of years both Polynesians and Asians have praised the embracing qualities of the noni fruit. Noni can assist your cells to function optimally, providing more energy from our diet and giving life a new meaning. 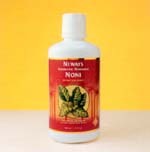 Refreshing Neway Noni Fruit Drink is nutrient-packed. 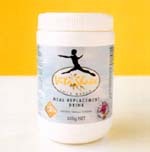 It features all the benefits of the noni fruit as well as the benefits of raspberry and blueberry. The red concentrate delivers high levels of ellagic acid while the blueberry concentrate supplements the body with a powerful antioxidant. 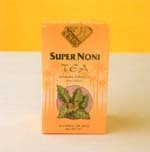 For the enjoyment of all, Neways has created Super Noni Tea which comes in a box of 30 convenient, single serve tea bags. Enjoy a cup of traditional hot herbal tea, or make up a jug of iced tea in the warmer weather. Used at this concentration the entire box of Super Noni Tea bags will make up 5.4 litres of refreshing herbal tea. It is a delightfully pleasurable and extremely bioavailable way to sip the sweet rewards of the remarkable noni fruit (Morinda citrifolia). Drink to your health with Super Noni Tea. Neways Transfactor consists of pure Bovine Colostrum sourced from New Zealand. It naturally contains lactoferrin (a milk protein isolate) which provides our body systems with vitamins, minerals and proteins. TransFactor's high-intensity formula features many elements that positively affect the body's ability to maintain a healthy system function. 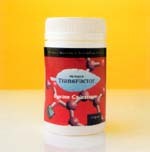 The proteins and other nutrients in TransFactor's formula contribute to a healthy diet. Maintaining a healthy and balanced diet always assists in the feeling of recovery after periods of intense physical exertion. VitaShake is a nutritious and effective aid to weight control. It contains essential vitamins and minerals to ensure good health and well-being. VitaShake can replace meals for those who wish to lose weight or it can be used for those that wish to gain weight. In addition, VitaShake's features are as follows: it is high in vegetable protein; a source of dietary fibre; contains no animal products; is gluten free; soya based, therefore lactose free. Vegans and vegetarians can take VitaShake with confidence. Neways VitaShake not only tastes good, it's good for you!